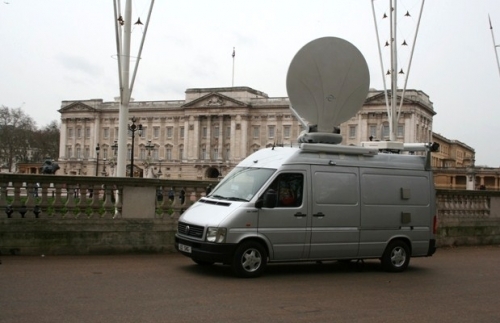 New Stryder TV Sat Truck UKI-1444 outside Buckingham Palace whilst working for BBC News. The story was about Prince Harry in Afghanistan. 05.03.2008 New Stryder TV Sat Truck UKI-1444 outside Buckingham Palace whilst working for BBC News. The story was about Prince Harry in Afghanistan.